This is the second book in the Hatton and Roumande Mystery series. Adolphus Hatton is a forensic scientist/pathologist and Albert Roumande is his assistant. The setting is 1858 London in July. They are in the middle of a terrible heatwave and cholera epidemic in the poorest Irish neighborhoods. Tempers are high in England following the great famine in Ireland. 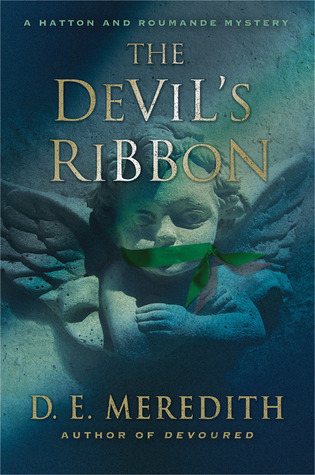 It’s the period of the birth of Irish nationalism and the rise of the Fenians and the Irish Brotherhood A series of violent murders erupts in the city, each with a mysterious calling card left. Riots and a bombing also are going on. Are they related? What do they have to do with Ardara Ireland? How is Father O’Brian involved? This is an excellently written period novel! Ms. Meredith’s research is fantastic! You have the burgeoning new field of forensics, the powdered keg of the times following the famine, the widespread drug use of the time, a cholera outbreak, an early Scotland Yard. What more could you want? The sheer force of the ugliness of the time, the poverty, the disease, the filth, the opium abuse of this time comes across vividly in this novel. At first I didn’t really like it. It certainly doesn’t take you to a lovely, gentle English countryside! The Scotland Yard Inspector was a despicable, ugly, drug addict that really turned my stomach. It took me a while to get attached to Dr. Hatton, but somehow slowly as I read he did wheedle his way in! I ended up really enjoying this book and wanting to read more. I highly recommend it! 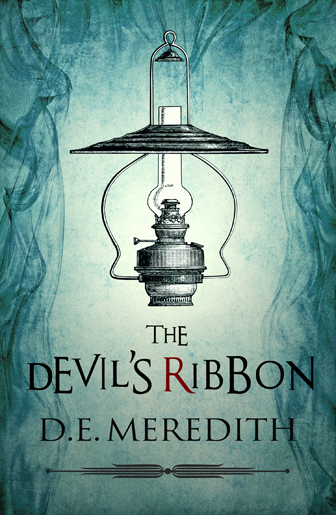 Check out the synopsis for this book on Ms. Meredith’s website and download the first chapter here. I won this book on a blog last year and just got around to reading it…what took me so long! And I just discovered when I started reading it that she had written a nice little note to me in the front of the book! Oh by the way..I never in a million years would have guessed ‘who dunnit’! !